Today, to transfer money with your phone is now easy, with you Banks USSD code you can perform this simple task in a more convenient, secure way without paying a visit to your bank or spending long hours queuing on ATM. With your Banks USSD codes, you can perform task such as money transfer, Pay bills, Recharge card, Change your card pin, Read mini-statements, withdraw money or make purchases among several others. Next is to input transfer PIN, or Last 4 digit of your ATM Card depending on your bank to confirm transfer. The recipient account number will be shown to you before you enter the your PIN. This is done in order to confirm the account you are about to send money to. To transfer money to any GTBank account, simply dial *737*1*Amount*NUBAN Account No# e.g. *737*1*1000*1234567890# from the mobile number registered with the Bank. #e.g. *737*2*1000*1234567890#. you will then be required to enter the last four digits of your GTBank Naira Master Card in order to authenticate the transfer. First Bank USSD Money Transfer CodeTo transfer money using First bank USSD code, simply dial *894# and select 1; To withdraw money dial *894# and select 2 , To make purchase dial *894# and select 3 ; To pay bills dial *894# and select 4 ; To buy airtime dial *894# and select 5 ; and finally to manage account. dial *894# and select 7. Diamond Bank USSD Money Transfer CodeDiamond Bank USSD Money transfer code seems to be available only for Y’ello account holders, so to transfer or send money to any Diamond Bank account Dial *710*710*PHONE NO*AMOUNT*PIN# while to Transfer money to other banks using the Y’ellO account Dial *710*777*ACCOUNT NO*AMOUNT*PIN#. Fidelity Bank USSD Money Transfer CodeTo transfer money to any Fidelity bank account dial this *770*NUBAN Account no*Amount#; let’s take for instance you want to send N1000 to your friends Fidelity bank account, dial *770*1234567890*1000# then enter your 4 digit pin. However if this is your first time of using the service, and you do not have any Registered PIN before, then you will need to create one by dialing *770#, Enter your NUBAN Account number (Fidelity bank account number), Select a 4-digit PIN for your account. Now you can proceed to make your transfer. For Wema Bank USSD transfer code dial *322*035*NUBAN*AMOUNT#. As stated above this most be initsiatd on the same Phone number your registered with your account. Ecobank USSD Money Transfer CodeEcobank Mobile Banking USSD transfer code Dial *326# and follow the on screen prompt. Sterling Bank USSD Money Transfer CodeSterling Bank USSD code dial *822# To get started and follow the prompts accordingly. Note : an access fee of N5 will be deducted from your airtime each time you dial the sterling bank ussd code on your phone. A PIN will also be required to complete transactions via the ussd code. You will get the pin when you register for the Sterling bank *822# service. 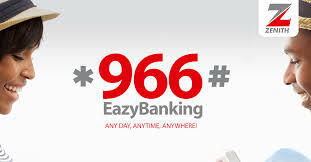 United Bank for Africa ( UBA ) USSD mobile banking code Simply dial *919# from your registered phone number to kick start. For Unity Bank USSD mobile banking code dial *389*215# and follow the screen prompts. To create a bank account simply dial *966*0# and follow the onscreen prompts.